On Friday, the New York Department of Environmental Conservation issued proposed regulations for hydraulic fracturing, a.k.a. “fracking,” the technological breakthrough in natural gas drilling that has roughly doubled known North American gas reserves in the last five years. 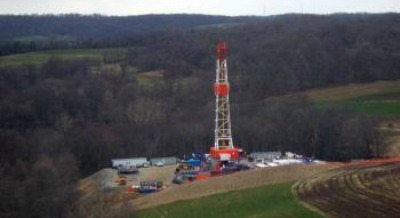 Much of New York is within the geologic area known as the Marcellus Shale, which contains enormous gas deposits that became recoverable only with the advent of hydraulic fracturing and horizontal drilling. New York lawmakers imposed a moratorium on the process, due to unsubstantiated fears fanned by environmentalist special interests that the technique could contaminate New York City’s water supply. The drilling regulations are unnecessarily onerous, such that they might make gas extraction uneconomic, but they potentially could open up to 85% of the state’s Marcellus Shale deposits to hydraulic fracturing. Across the pond, the French Parliament this week voted to ban hydraulic fracturing, making it the first country to enact legislation to outlaw the practice. However, the prospects for the gas drilling technique remain excellent in much of the rest of the European Union. Unlike France, which generates the preponderance of its electricity from nuclear and therefore has less of a need for expanded gas supplies, Central and Eastern Europe are embracing the technique. For countries in these regions, expanded domestic production of gas is preferable to relying on Gazprom, Russia’s state-owned gas export company. It looks like the DEC is taking every precaution to make sure the “fracking” is done in a manner to protect the environment and to protect the drinking water in New York State. ‘Unsubstantiated fears?’ Here’s a quote from the scientific study performed by Duke University professors: “Our results show evidence for methane contamination of shallow drinking water systems in at least three areas of the region and suggest important environmental risks accompanying shale gas exploration worldwide.” That sounds pretty substantial evidence backed by facts collected by professional researchers. If you’re truly not worried about the effects of fracking on drinking water, I invite you to post a video of you drinking gallons of water from the shallow wells cited in the scientific study. Hey there! Fast question that is totally off topic. Do you know how you can make your web-site mobile friendly? My web-site looks weird when viewing from my iphone. I’m attempting to obtain a template or plugin that could possibly be able to fix this issue. In the event you have any suggestions, please share. With thanks!